Scary Terry's World: Blue "pencils." 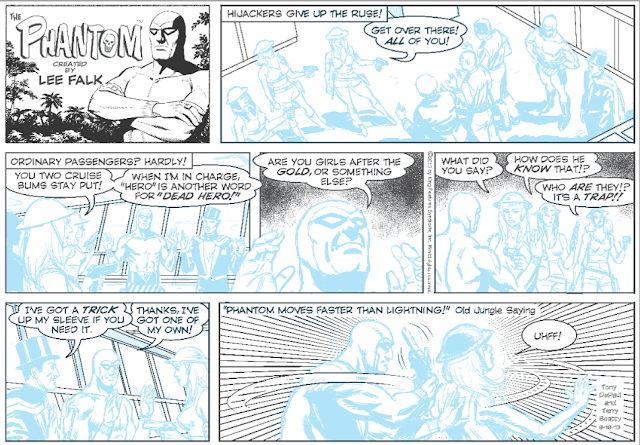 Here's a little peek at my process for drawing The Phantom. My "pencils" are done in Manga Studio, and printed out in blue for inking by hand. These first two panels show the drawing in progress. The balloon and caption outlines have not been added yet, and the background has not been drawn. 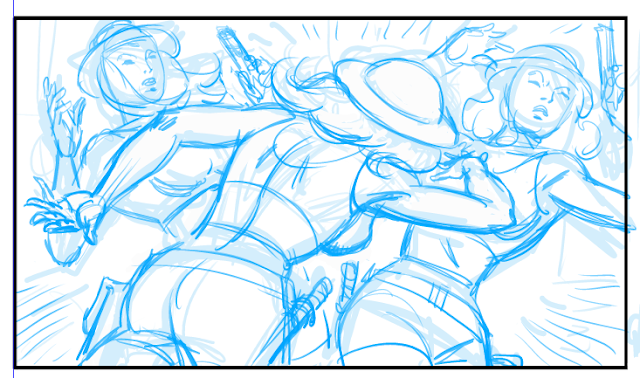 Is it just me, or is a Steve Ditko influence showing in the main figure here...? 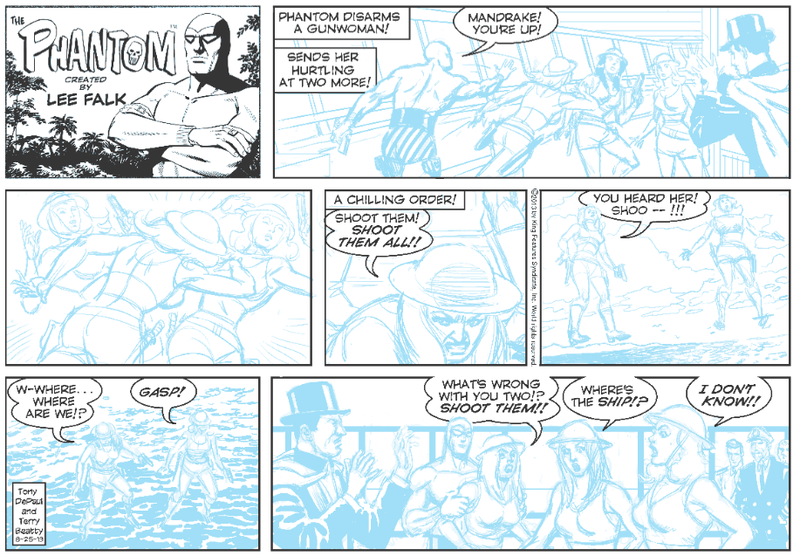 And here is the page as printed out for inking. The finished version, inked and colored, can be seen in my previous blogpost. Below is last week's Sunday page. 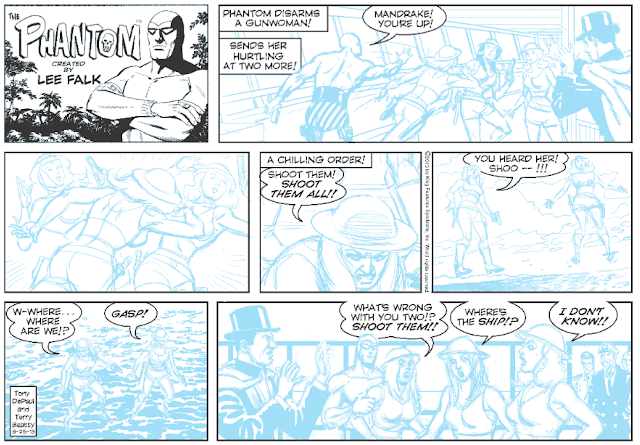 As you can see, I did some of the background line work and effects digitally, leaving the figure inks to be done by hand on the bristol board print out. This, too, can be seen in finished form in my previous blogpost. Very cool post! Thanks for sharing the process.